Dr. Ken Swayman will be taking your questions about any problems you might be having with your feet or ankles. He is a consultant and speaker to many groups and organizations in Alaska, and is an Affiliate Professor and Consultant Team Physician for the University of Alaska, Anchorage. Podiatrist Dr. Kenneth Swayman joins us on the next Line One program on Monday, Dec. 8. Ken Swayman, DPM. 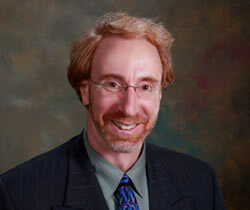 Dr. Swayman joined Alaska Podiatry Associates (Alliance Foot & Ankle) in 1993. His primary office is on the campus of Alaska Regional Hospital, but he is also on staff at Providence Alaska Medical Center, Creekside Surgical Center and The Alaska Surgery Center. He is a consultant and speaker to many groups and organizations in Alaska, and is an Affiliate Professor and Consultant Team Physician for the University of Alaska, Anchorage.